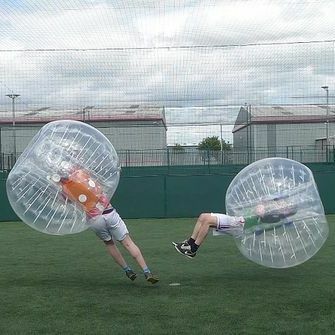 Private Zorb Football sessions start form £20pp for an hour's session, including venue hire at our venue in Chester. Each event price is bespoke to the location, time and requirements of your event, with prices starting £350 (although these are flexible for more local events). We provide a member of staff with each first item hired and can also provide staffing for additional items hired for an extra cost. Please speak to us about your event requirements. Travel costs will apply to all events outside of Chester. 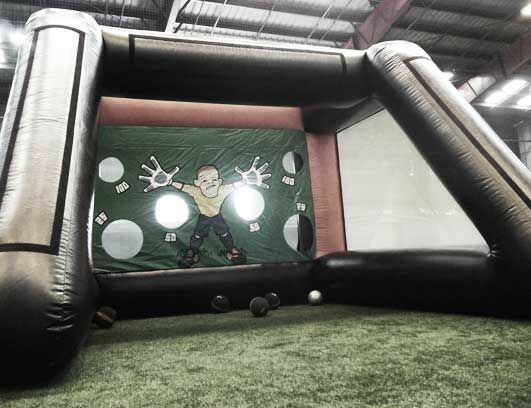 Streetwise Soccer offer a range of exciting and engaging football skills activities and equipment for hire, which can be incorporated into any event, project or setting, or be used together to deliver a full-scale football skills experience. 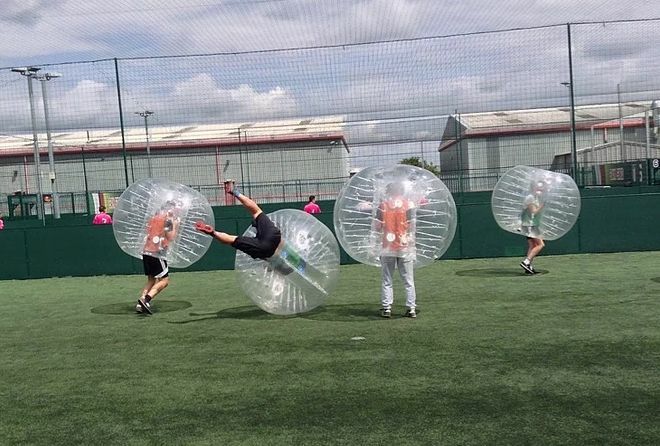 You can choose any number of activities to add to your event, with each offering participants of all abilities the opportunity to take part and have fun. 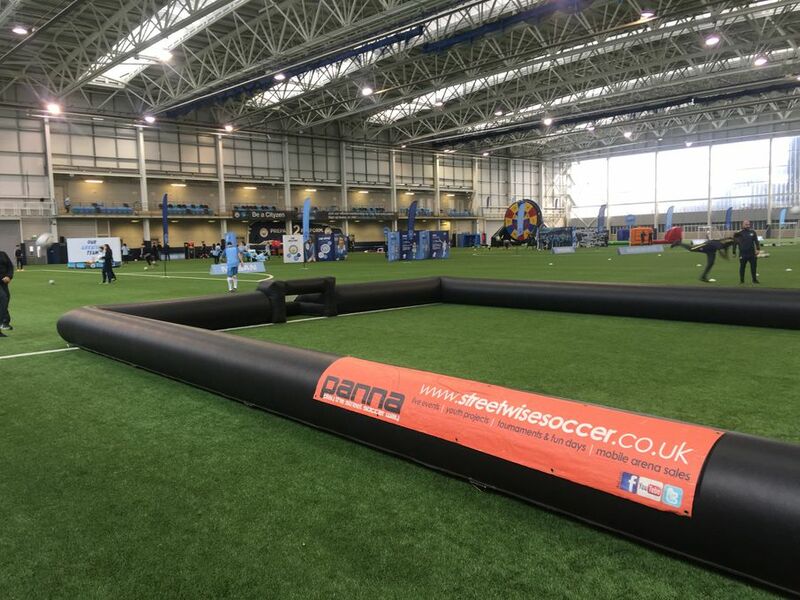 Our activities are ideal as 'Have A Go' activities within public events, sports festivals, family fun days, corporate events and fan parks, private functions, stadium events, team building activities, schools, colleges & universities. 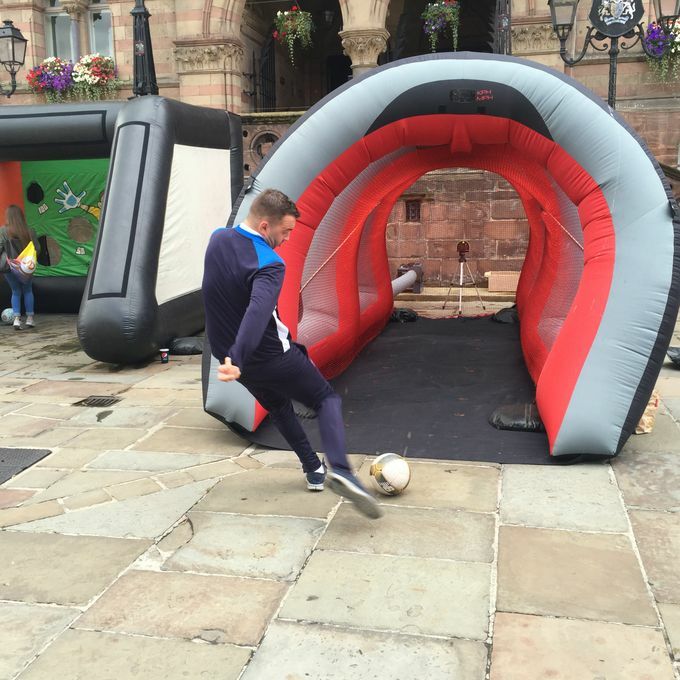 We are based in Chester with our events services available for hire across the UK.